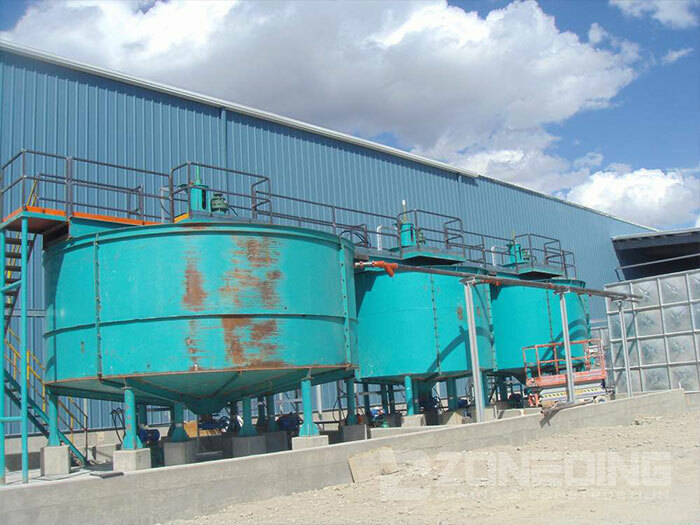 Product categories of Thickener, we are specialized manufacturers from China, Dewatering Thickener, Sludge Thickener suppliers/factory, wholesale high-quality products of Mining Thickener Tank R & D and manufacturing, we have the perfect after-sales service and technical support. Look forward to your cooperation! Thickener, a kind of Beneficiation Equipment, is applied to dewatering of concentrate and tailings. It is widely used in metallurgy, chemistry, coal, nonmetal processing, environmental industry, etc. Thickener is not just simple settling equipment, but a new type dewatering equipment combined with mud layer filtration characteristics. The working principle is adding a certain amount of flocculant in the slurry to be concentrated to make the ore grain form floccules, accelerate its settling velocity, and thus achieve the purpose of improving the enrichment efficiency.